The KVIS partners with many businesses each year. We are always so grateful for the forward-thinking vision and care that these businesses show in joining with us to help make our community great. 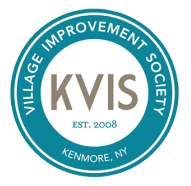 The Kenmore Business Partners page is a way for the KVIS to help residents and others know more about the businesses here with each Business Partners page painting a picture of the business and the business owner. We will be listing more businesses quickly, so please revisit this page often. Did you know that the majority of Kenmore Village businesses are owned by people who do not live here? This is not the case with long time resident, John Hulley. John has purchased the former Penny’s Hardware building at 2498 Elmwood Avenue as the new home for Hulley Woodworking, Inc. It was invisible ink that started John on his journey to be a master wood craftsman. To see a hidden message written on paper in invisible ink, the then eleven year old John held a match behind it. As he was reading the message the match burned too low and he flicked it from his burning finger. The match fell underneath his bedroom dresser which quickly caught fire. John then ran from the bathroom to his bedroom with dixie cups filled with water to douse the flames; he succeeded in putting out the fire but damage to the bottom of his dresser had been done. Soon afterward John asked his parents (who were unaware of the dresser fire) “May I refinish my bedroom set?” Surprised but happy for his interest in such a project, his parents consented and a passion for working with wood was born. Hulley Woodworking is open to the public by appointment. Should you have need of furniture restoration or are interested in quality workmanship for your home, church, or office, please contact Hulley Woodworking. Online at http://www.hulleywoodworking.com.